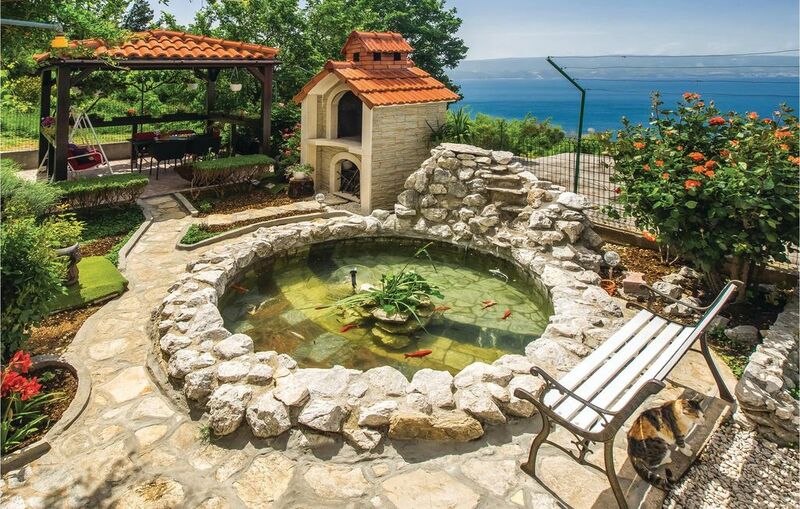 Spend a relaxing family holiday in the settlement of Borak, which is located above the popular tourist town of Omiš. On the first floor of an apartment building you will find two cozy and simply furnished holiday apartments. The CDE805 consists of two bedrooms, kitchen, living room and small terrace. The CDF752 is a studio-apartment. In the garden you have a beautiful pavilion with barbecue area for common use. Since the accommodation is located on a hill a steep and winding path leads to the beach. The summer events in the town of Omiš and the sports offers like rafting and zip line will complete your holiday.